It’s been a sneezing and sniffling filled couple of weeks here at Make It Bittersweet. I’ve had a nasty cold, just in time for the start of the cold weather. In honour of finally feeling better, I’m going to share my “what to drink when you’re sick” recipe. Let’s call it a “healing tonic”. 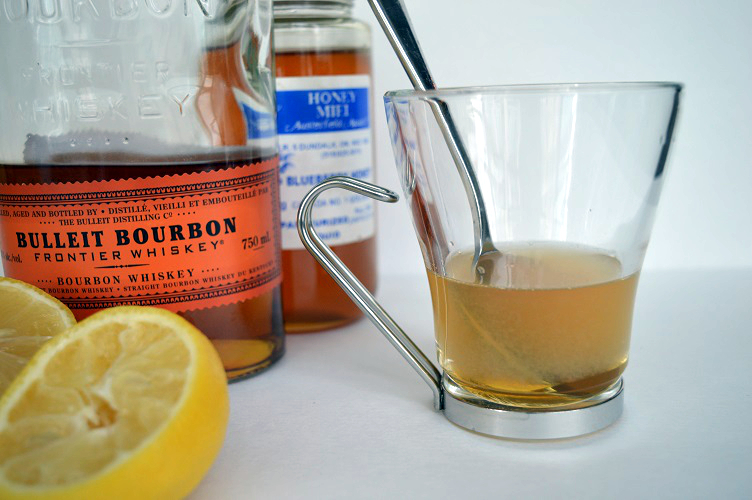 In a small mug, pour about an ounce of Bourbon and add a spoonful of honey and the juice from half a lemon. Top with boiling water, stir to combine and sip slowly. Hope that you don’t need to use my healing tonic over the winter, but you’ll appreciate it if you do. Remember not to mix with any medications that you can’t have alcohol with! p.s. 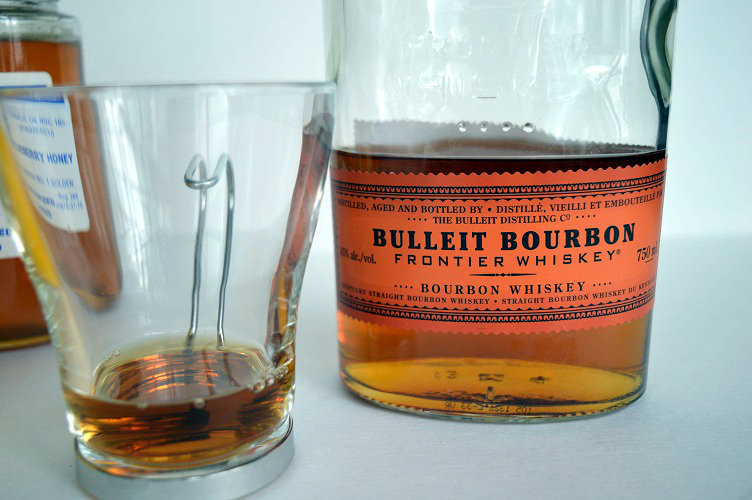 Other whiskey’s also work well in this drink if you don’t have Bourbon kicking around. Just don’t use the super good stuff!